If you value patriotism, responsible citizenship, volunteerism and advocacy for veterans and their families, you will feel right at home in the American Legion Auxiliary. You can teach school children about our nation's flag, assemble care packages to send to our troops, or volunteer at your local VA Medical Center. As a member of a local unit, you'll have a ready made support system and many hands-on opportunities to serve in ways that truly make a difference. Patriotism and veterans advocacy are so important to us that for more than nine decades we've been serving, educating, and giving to America's finest - our servicemen and women. We're individual women who answer the call of Service, Not Self. We are more than 850,000 wives, mothers, daughters, sisters, grandmothers, granddaughters, and great-granddaughters of veterans who served our great country during times of war. Some of us are veterans ourselves. 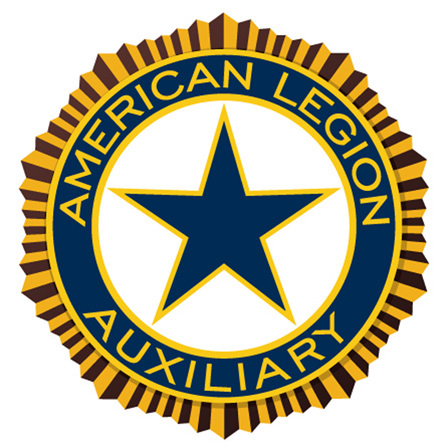 We are the American Legion Auxiliary, and we are passionate about making a difference. You will find us in more then 9,500 communities in the USA - 481 units in Illinois alone, and 11 foreign countries. Founded in 1919 during the first National Convention of The American Legion, we have grown to be the largest women's patriotic organization in the world. We would love for you to be a part of our outreach. These members demonstrate their "I'm All In" commitment to the Auxiliary by paying their dues for life. They never have to worry about paying their annual dues, losing their continuous years of service, or facing a dues increase. This is a group of distinction, and you can apply once your dues are paid in the current year. * The membership year runs from Jan. 1 - Dec. 31. The payment of your dues secures your membership for a given year. You can pay your dues at any point during the year, but many choose to pay ahead. A women eligible for membership through a veteran who, now deceased, was not a member of The American Legion must submit the veteran's DD214 record with her application to verify eligibility. If a request for membership is based on a family member who is living, that person must be a member of The American Legion. A woman veteran may join the American Legion Auxiliary without being a member of The American Legion if her dates fall within at least one of the categories above. If, however, her family members wish to join the Auxiliary or the Sons of The American Legion through her service, she must first become a member of The American Legion.